As the snow fell on parkruneve I sat there cross checking the latest updates from each of the 12 possible parkrun venues on my list for the following day. 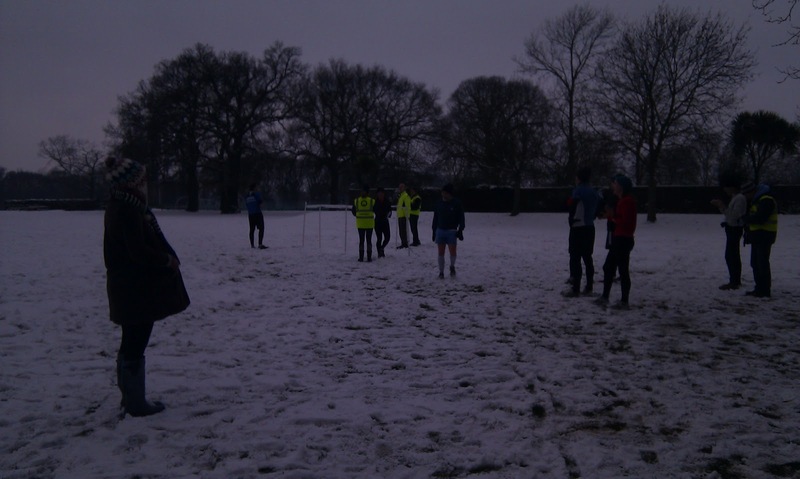 My preference was for a venue that is run entirely on grass or trail - my reasoning was that this type of venue would be less likely to cancel than a tarmac course. As the day went on a few cancellations popped up on my twitter feed, they were tarmac courses and were just too slippery. In contrast there were a few venues that were confidently declaring that they would be able to go ahead. In the end the top two on my list were Wimbledon and Old Deer Park. The final decision would come down to the public transport and backup parkrun options. South West trains could get me fairly close to both venues, but if I could make it right into Richmond I would have a few other options should Old Deer Park need to cancel at the last minute. If that situation was to occur at Wimbledon the alternatives would be harder to reach. To be on the safe side I added a couple of Richmond minicab phone numbers to my address book to give me a head start should I have to make a desperate attempt at reaching another venue at the last minute. 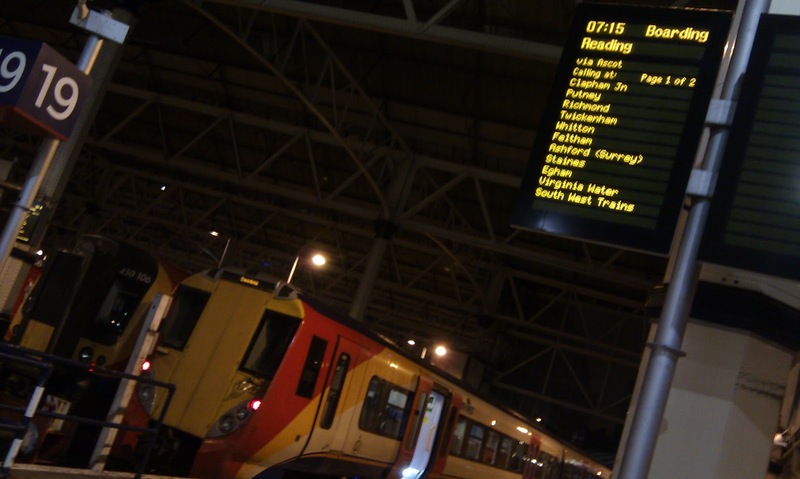 I took the 7.15am train from Waterloo (which acted as part recce for a journey to Reading and Woodley parkruns sometime in the future), arrived at Richmond station at 7.35am and walked the short walk across to Old Deer Park. There was no-one else around so I took some photos and then headed off to find the toilets in the adjacent swimming pool building. 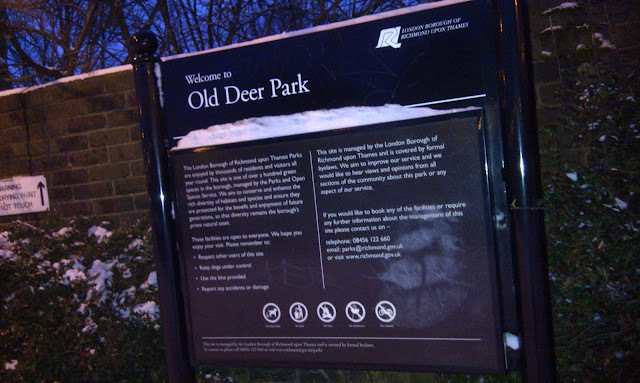 At around 8am I was back in the Old Deer Park where I bumped into the organisers and walked with them as they marked out the course - not an easy job when the usual landmarks are covered in snow! At 9am the runners (32 of us) were gathered and lead to the start line, shortly after we were running through the crunchy fresh covering of snow. The course is three-and-a-bit laps of the park, which is mostly open playing fields, and is basically flat. 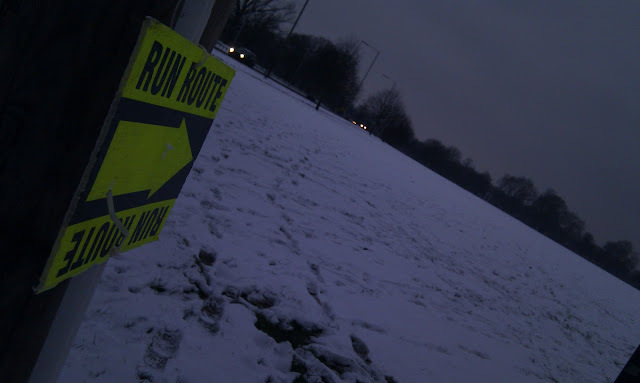 With the course covered in snow I was very happy to put in a medium-ish effort in and just enjoy the run without the usual pain that a 5k time trial can inflict. I felt very welcome at the run and as I was passing the start/finish area I heard my name being cheered, which is always a nice experience and not often one you get when running at a venue for the very first time. So 23-and-half minutes later I came through the finish funnel and shortly after wrapped myself up in my coat which I had left in the bag drop area. I then grabbed my bottle of coconut water to help rehydrate myself - It really is amazing stuff. 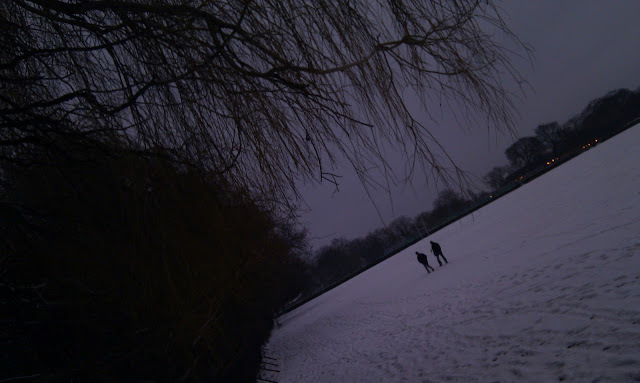 I was invited to join them for post-run tea, and I was initially going to take them up on the offer, but as I stood there post-run watching Dads playing in the snow with their children I made the decision to go straight back to Westminster to do the same with the toddler.